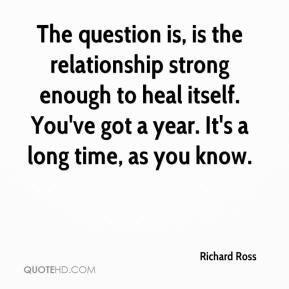 The question is, is the relationship strong enough to heal itself. You've got a year. It's a long time, as you know. 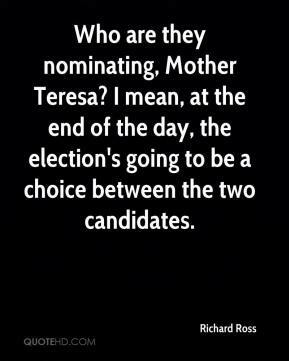 Who are they nominating, Mother Teresa? I mean, at the end of the day, the election's going to be a choice between the two candidates. It also gets us into a new aisle. 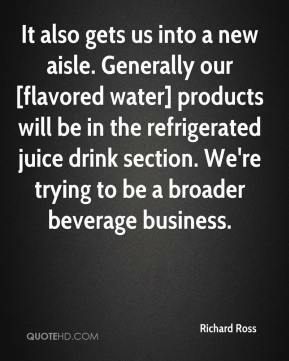 Generally our [flavored water] products will be in the refrigerated juice drink section. We're trying to be a broader beverage business. 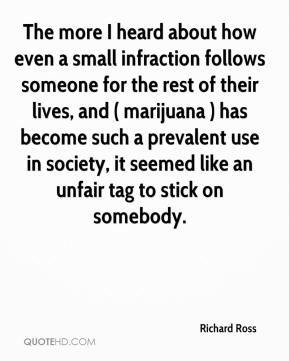 The more I heard about how even a small infraction follows someone for the rest of their lives, and ( marijuana ) has become such a prevalent use in society, it seemed like an unfair tag to stick on somebody.